Reps from Next Glass, a beer and wine taste-matching app, are scouring the country to log every beer into their system using science. If you’re a craft beer fan, you know we have it pretty good in America right now. The industry is surging so high, you can even minor in craft beer studies at college if you want. Still, even if you know a lot about beer, you can’t always guarantee you’ll like every single thing you try. Some of us regard that as part of the adventure. We think to ourselves, “that’s why build-your-own six-packs were invented!” You minimize your risk to a single bottle, but can still try the vast sea of beer that has not yet danced across your taste buds. But what if there was a way to try new things with no risk at all? 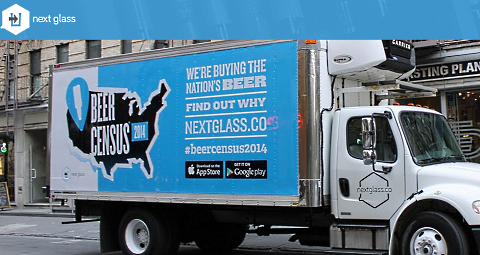 Next Glass, a North Carolina based beer and wine suggestion app startup, is criss-crossing the country right now for #BeerCensus2014. This heroic team has one goal: to catalog every single beer in America for inclusion in its Next Glass app, which launches in November. It will be available for both iOS and Android phones. 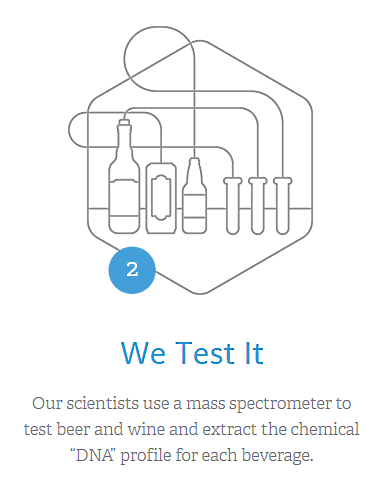 The purpose of Next Glass: to take the guesswork out of your next beer (or wine) purchase, using science. 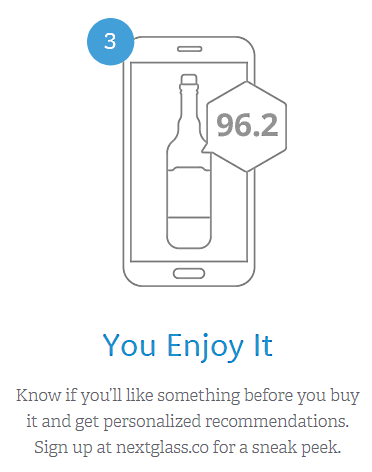 If you sign up for Next Glass, the app will ask you to rate three different things to gauge your tastes. Then it will suggest new things for you to try that you should like. Basically, the more beer Next Glass buys and analyzes, the more scientifically accurate its suggestions should be. No more reliance on subjective adjectives like “grassy” or “butterscotchy”—unless you really want to. 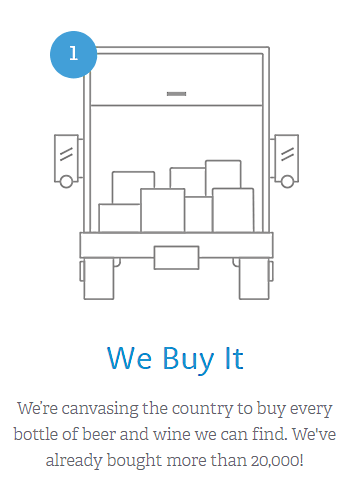 We envision this being particularly helpful when you travel. Since some craft beers can’t even cross state lines, there are lots of great beers out there that you won’t ever taste unless you travel. Take Seattle, for example—a place that’s mad intense about its craft breweries. Instead of getting overwhelmed by all the choice, Next Glass can help you figure out where to start. Obviously, this won’t work for the really small craft breweries and pubs, because there aren’t any bottles for Next Glass to analyze. If it does what it promises, we think Next Glass should be a great app to have in your beer nerd arsenal, maybe sharing a screen with Untappd and Taphunter.